These Energized Semiprecious Lapis Lazuli has the power to harmonize the physical, emotional, mental and spiritual levels. With body, heart and mind working in harmony, mastery of any area of life becomes more attainable. Lapis Lazuli also quickly releases stress, bringing deep peace. Lapis Lazuli bonds relationships in love and friendship and aids expressing feelings and emotions. The stone dissolves martyrdom, cruelty and suffering. 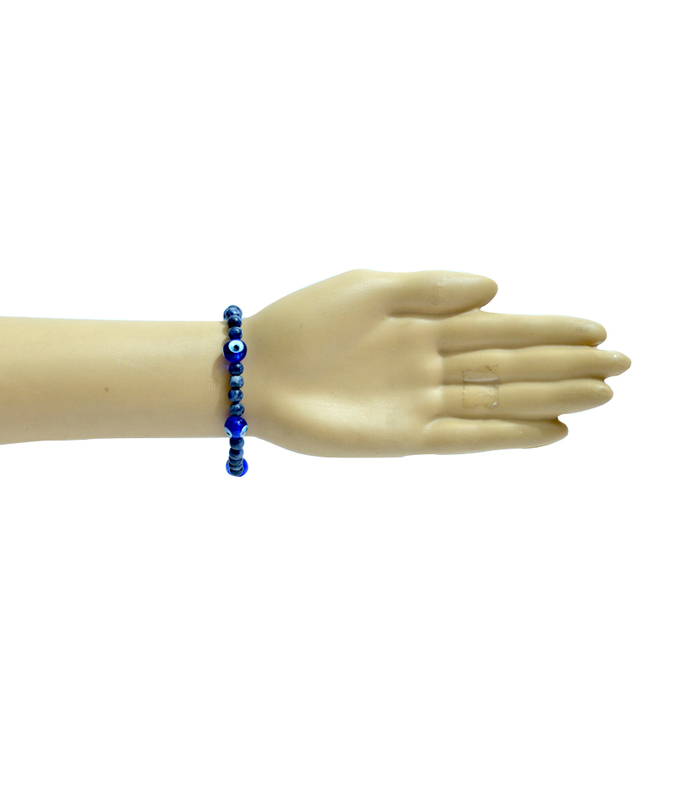 In healing, Lapis Lazuli is used to alleviate pain, especially that of migraine headaches and arthritis. It overcomes depression and benefits the respiratory, nervous and the immune systems. Lapis Lazuli also alleviates insomnia and vertigo, and lowers blood pressure. It also stimulates the higher faculties of the mind, bringing objectivity and clarity. Turkish evil eyes (Talisman) are an object which you believe has magic powers to project you or bring you lucks. Turkish people believe that it absorbs bad energy coming from evil eyes. Usually, no one leaves Turkey without purchasing a blue and white evil eye charm. No place of business or home is without one they come in many styles, from simple to ornate. Legend had it that it protects you from “bad luck”. “Bad luck” translates into evil or harm wished upon you from another who are jealous of your prosperity happiness & growth. Disclaimer: These Semi Precious stone/Beads are believed to bring about all the good things. We do not guarntee its success and are not responsible for any claims. Any person with a conditions requiring medical attension should consult a qualified practitioner or therapist. Product colour may slightly vary due to photographic lighting sources or your Screen settings.